The Religious Sisters of Charity (RSC) is a Catholic congregation of nuns dedicated to working with the poor. It was started in Ireland by Mary Aikenhead in 1815. 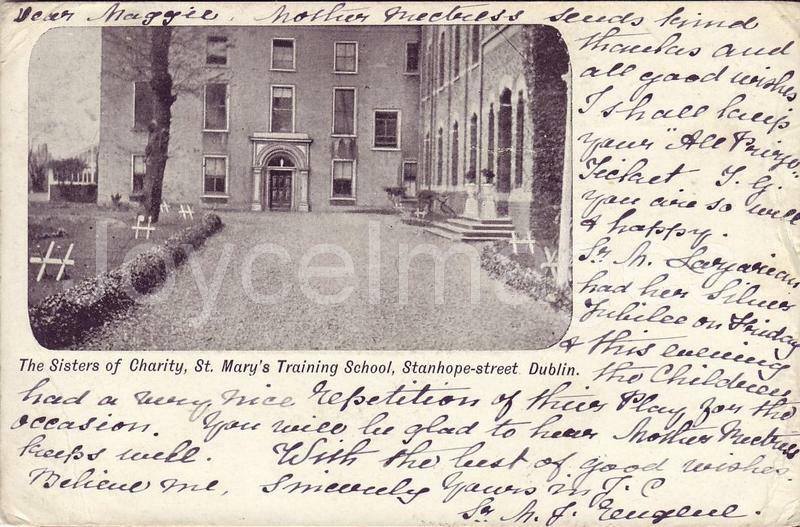 The Upper Gardiner street RCS foundation, that the sailor is passing, was a convent and a school. This PC shows the RSC foundation on Stanhope street, and was written by a Sister in 1904.